Guhring is a world-class manufacturer of round shank cutting tools for the metalworking industry; also a provider of top-quality coating, reconditioning and tool management services. 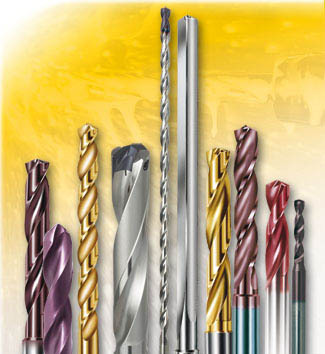 Tri-State goes to Guhring on a daily basis for our customers’ carbide drill, hss/cobalt drill, carbide endmill, and tapping needs. Their quality and performance are second to none. Guhring’s carbide division and its annual carbide production of approximately 2,000 tons make them one of the largest carbide producers world-wide. This also gives them the ability to develop optimized tool materials for specific workpiece materials, maximizing your productivity and results. To ensure the geometries, tool materials and coatings are converted into precision tools of the highest quality, Guhring’s machine and equipment division designs and produces the most important manufacturing equipment for their tool production. This includes state-of-the-art grinding and coating systems as well as precision measuring instruments. Reconditioning and coating services are also offered by Guhring, enabling extended tool life by restoring special and standard drill points, end mills and reamers to their original specifications. Coating chambers are in-house, and Guhring coating expertise is widely used for cutting tools from Guhring and its competitors as well as for wear parts and other items beyond cutting tools.